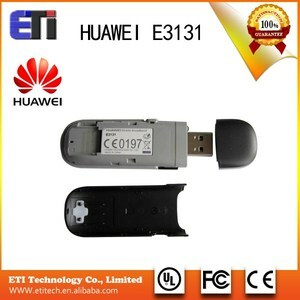 4g lte E392 E392U-92 UMTS/CDMA/EDGE/GPRS/GSM 4g lte usb dongle Features: The E392U-92 is a USB data card that supports LTE TDD technology. Streamlined in shape, the E392 incorporates LTE FDD technology while remaining compatible with UMTS / GSM / CDMA networks, automatically switching between different networks to ensure optimal internet connectivity. The download speed of E392U-92 is up to 100M, making it possible to download a 4GB, HD movie file in just a few minutes. 100% Original Unlock 7.2Mbps HSDPA Wireless Data Card And 3G USB Modem ZTE MF190 Specifications of mf190: 1, HSDPA/UMTS (2100MHz) 2, GSM/GPRS/EDGE (850/900/1800/1900MHz) 3, Support 7.2Mbps DL 4, Support SMS services 5, Support data statistics 6, Receive diversity (900/2100MHz) 7, Plug & Play * Voice Support * Support Windows 2000, Windows XP, Windows 7, Vista and Mac Operating Systems Any interesting in our 3g/4g modem and routers, please feel free to contact us now, many thanks. B: U can make payment after u confirm the invoice. E: If any problem, pls contact with us, we will try our best to help u. We send the samples to you only after receipt of your payment. The added advantages with this product are the 32G MicroSD memory expansion capability. If you have any questions about our company or our products, please feel free to contact us, we will response for you in 1 day after received you email. That more, thank you very much, Hope that we will established a long-term cooperation in the future. 1 YRS Shenzhen Thinkmak Technology Co., Ltd.
Alibaba.com offers 351 gprs usb dongle products. About 72% of these are modems, 10% are wireless networking equipment. A wide variety of gprs usb dongle options are available to you, such as usb, rs-232. You can also choose from internal, external. As well as from 128kbps, 1024kbps, and 256kbps. And whether gprs usb dongle is paid samples. There are 351 gprs usb dongle suppliers, mainly located in Asia. The top supplying country is China (Mainland), which supply 100% of gprs usb dongle respectively. Gprs usb dongle products are most popular in North America, South America, and Southeast Asia. You can ensure product safety by selecting from certified suppliers, including 41 with Other, 12 with ISO9001 certification.